They billed Foreman vs Cooney as “The Preacher and The Puncher,” but it quickly became known as “The Geezers at Caesars,” this unique crossroads battle between two aging heavyweights looking for respect. 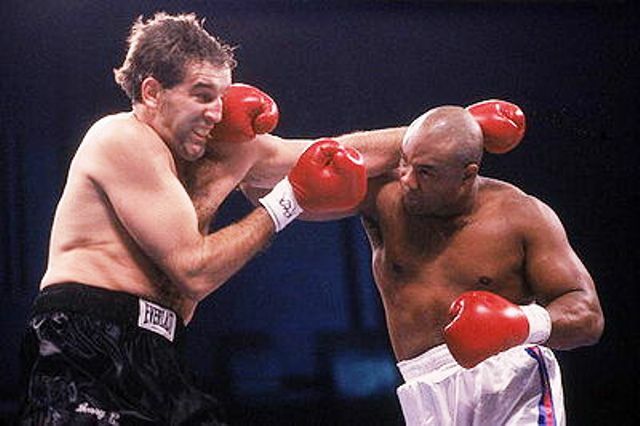 Gerry Cooney had lost his in the eight years following one of the biggest fights in boxing history and his first career defeat, a thirteenth round TKO loss to champion Larry Holmes. 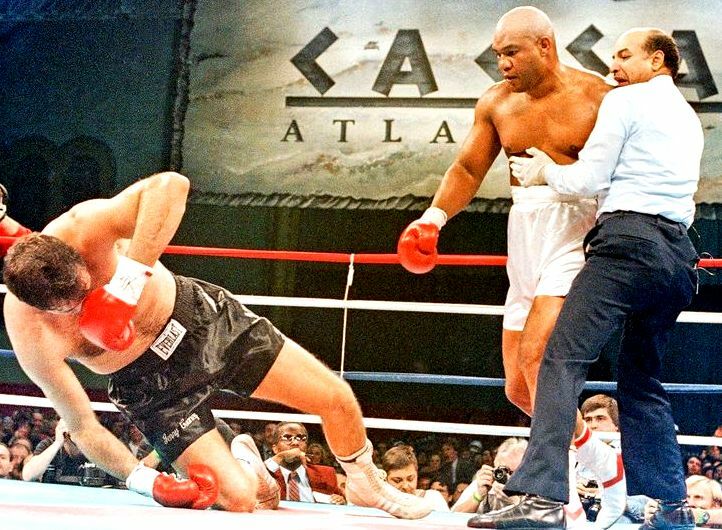 After that setback, his career had dwindled away, a result of his choosing to spend more time in nightclubs than the gym, pulling out of various fights at the last minute, and squandering his talent as one of the hardest hitting heavyweights since, well, George Foreman. 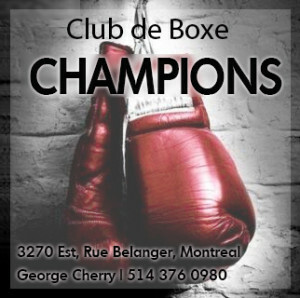 In 1987 he lost by fifth round knockout to Michael Spinks and hadn’t been heard from since. Big George, a former world champion dethroned by Muhammad Ali in 1974, had retired from boxing in 1977 following a decision loss to Jimmy Young and a spiritual crisis in his dressing room immediately after the bout. While in the shower he suddenly found himself in a dark pit of death and despair and he pleaded with God to help him. He subsequently retired, became a born again Christian and spent the better part of a decade working as a pastor at his church in Houston, Texas. In 1987, to everyone’s bewilderment, Foreman returned to the ring, ostensibly to raise money for Houston’s George Foreman Youth Center. No one took his comeback seriously. 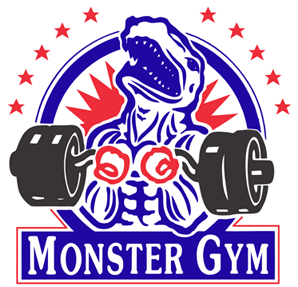 At 38 years of age, he looked like a cartoon, his huge belly bulging out over the high waistband of his boxing trunks. But George paid the naysayers no mind and went about scoring knockout after knockout over various club fighters and fringe contenders. The Cooney bout, the twentieth in his unlikely return, was seen as Big George’s first real test, a match to determine if the new George Foreman and his comeback could be viewed as something other than a cringe-making sideshow. In a crossroads fight, the stakes are high. Both fighters knew a loss meant the end of their career and both trained accordingly. Cooney hired veteran boxing manager and trainer Gil Clancy — briefly Foreman’s trainer in the 70s — to anchor his corner, while Foreman had the legendary Archie Moore in his. 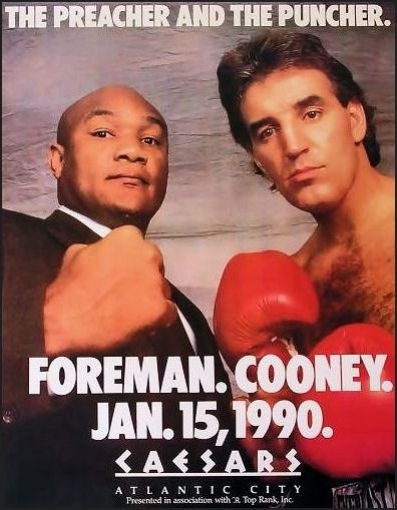 If the boxing writers dismissed Foreman vs Cooney as a joke, the public saw it as an intriguing match between two big punchers, always a recipe for something sudden and exciting. A sellout crowd filled Caesars Atlantic City and, as many expected, it didn’t take long for the fireworks to start. 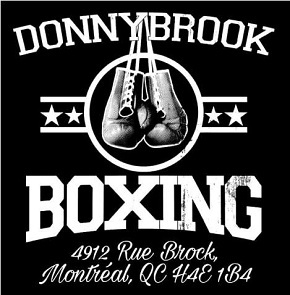 Cooney topples and the fight is over. But round two was a different story. It appeared Cooney lacked the stamina to maintain his strategy of staying one step ahead of Big George. 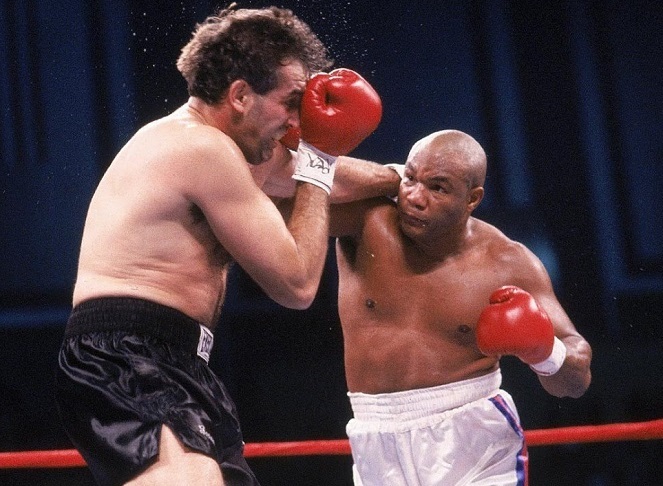 Under constant pressure, he relented and tried to stand his ground with “The Preacher.” The second he did, the fight was Foreman’s and the former champion wasted no time landing heavy shots to both body and head. 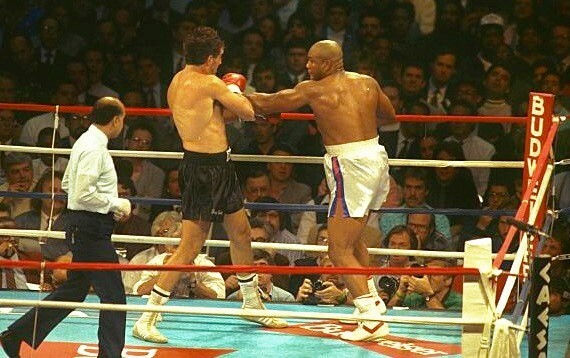 A haymaker uppercut froze Cooney and Foreman’s follow-up fusillade put Gerry down. Hard. He gamely climbed to his feet only to have Foreman casually stride up and land a flush left hook followed by a finishing right hand. Gerry toppled over in a heap. The referee didn’t bother to count. Cooney remained on the canvas for over a minute. Devastating beauty of a fight. Violence as art.